Bottom line...no one should get away with not having to talk at all. And research shows that the less "teacher talk" there is, the better. We've all got to find ways to get our students talking. Give the kids these discussion topics during the last 5 minutes of class and move around the room, facilitating group discussions. You will be amazed at the retention your students will have when they are given the opportunity to reflect upon their learning and verbalize it with their peers. There are a variety of ways these could be used. 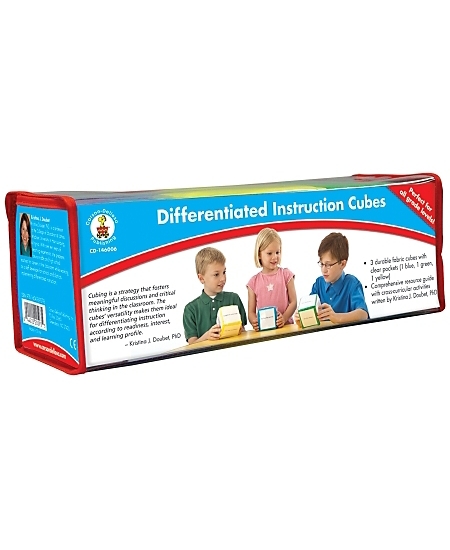 CLICK HERE for my set of Grade 8 differentiated instruction cube questions. Just print, slide into the cube pockets, and start the convos, my friends! Do you use these in another way for your classroom? Please feel free to share ideas below.